Ike Heller - Heller Industrial Parks, Inc.
Ike Heller was born and raised on a small farm in New York State. Every morning before walking the 3 miles to the one room school house, which had Â either electric lights nor indoor plumbing, his chores included feeding and milking their 3 cows every morning and evening. The family left the farm when Ike was 12-1/2 years old, and he was exposed to a typical Brooklyn Public School where the students went from room to room for different classes with different teachers. However, he found that the one room school house with 28 kids from grades 1 through 8 with a single teacher, hadn’t done a bad job because the next year when they gave a test to see who would be admitted to Brooklyn Technical High School, he was one of the two students from P.S. 26 that made it. “Brooklyn Tech” was one of the few schools in the New York City system that specialized in engineering types of courses, and students traveled by subway from all over the City to get there. After graduating from “Brooklyn Tech”, Ike entered the Navy, and his technical background qualified him for the Navy Electronic Technicians School, and after which he was assigned to a destroyer, where he served for about a year and was sea sick every day they were at sea. After being discharged from the Navy, Ike enrolled in Cooper Union Night Engineering School, which he attended for six years. During that period, he discovered that he was good at designing electrical gadgets, and he decided to use the $3,000 that he had saved while in the Navy to try his hand at being a toy manufacturer. He rented a little store ($8 per month) in Brooklyn, painted over the windows, and went there every day to decide what kind of a toy he could make with his limited capital. He discovered that after the war there were tons of aviator earphones that were available as surplus, and he could make a toy telephone by mounting them into a cardboard “cocoa can” and applying a label that made it look like a “Walkie Talkie” which was a thing that had beÃ ome popular in World War II. This got him started, and over the next 20 years Remco Industries, Inc. grew into a giant that employed over 3,000 people including extensive engineering and design people, tool shops, plastic and metal working shops, as well as an elaborate assembly organization. The company’s rapid growth led Ike to undertake to build a 750,000 sq. ft. manufacturing plant in Harrison, New Jersey. Ike sold the company when he turned 40 in 1966, and retired from the Toy Business. But the experience of building a large industrial building at an economical cost intrigued him, and he decided to try his hand at building this kind of building and lasing them to industries. At this time, Heller Industrial Parks owns and operates more than 16 million sq. ft. of warehouse and light industrial buildings in 7 states, with most of its holdings in New Jersey. 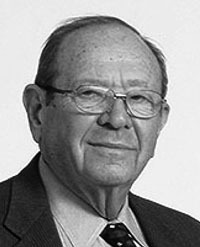 Ike Heller always felt that he should share in helping the communities in which his properties are located. He constructed the John Kenney Childcare Center in Edison, NJ. He established a Community Foundation in Franklin Township, supported the Edison/Metuchen YMCA, the Edison Senior Citizens Center, the Catholic Charities Fund, and libraries in Harrison and South Brunswick, NJ. Ike was also a substantial supporter of the John F. Kennedy Hospital in Edison and St. Peter's Hospital in New Brunswick. Isaac "Ike" Heller passed away on March 7, 2015. His life and his work was remarkable story and the epitome of the American dream. "If you're not persistent, you will fail."